This is the first solo release for a man whose varied pedigree includes stints with Ray Charles, David Bowie, Faith No More, Steve Winwood, Madonna, R. Kelly and many others. He was also a member of the seminal Who It is!, which counted Richard Tee, Steve Gadd, Cornell Dupree and Will Lee among its members. Everything about this release is top-notch, from the material to the recording to the packaging. Needless to say, the performances are outstanding as well. There is an element of experimentation and grit that takes this way beyond CD 101, yet it is as smooth and groovin’ as anything you’d hear there. 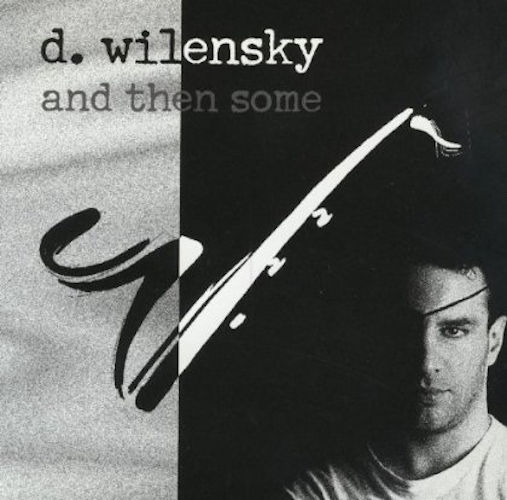 Wilensky’s tone – whether on soprano, alto, tenor and baritone saxes or flute and alto flute – is full of depth and warmth and expression. Wilensky has a groovy sax playing style with a touch of funk. A great solo artist that gives contemporary jazz fans a treat. A name that I’m sure we will hear more from soon! I’ve listened to this CD at least a dozen times, and I keep hearing new things. This is instrumental music for people who are bored by instrumental music. Excellent!